Home?>?h e l l o.
W e a r e s o h a p p y y o u a r e h e r e .
You have stumbled upon a creative place for making and doing all things wonderful. Children may experience the wonder of childhood and the magic of making with you make do® paper play kits® and you make do® party play kits®. Our simple kits give the joy, of helping to create and excitedly anticipate their own celebrations, back to children. who designs our printables? Our printables are designed and illustrated by mother of more than a few, creator, and project maker, Heather Cahoon. She is a New York Times bestselling children's book illustrator and an award-winning graphic designer in New York. Her designs have been featured in Eco Beautiful Weddings Magazine, Martha Stewart Weddings Magazine, Country Home Magazine, and elsewhere. 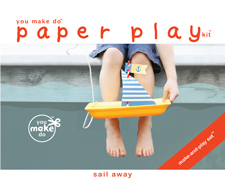 When you order you make do® printables, you are ordering carefully designed, handmade, and unique printables. instant downloads The pdfs on you make do® are instant downloads. You save money because you may print as many as you wish. And, because we are not shipping you products, you do not pay any shipping charges. A link to your printables will be on a receipt automatically e-mailed to you within minutes after you place your order. So, you can begin making your printables right away! You will need the latest version of Adobe Reader software to use your printables. If you do not already have this program, download it free here: http://get.adobe.com/reader/. simple to make, a joy to use Our printables are simple to print and make yourself. All of our printables have been made here by our own children; so, we are sure you and your children will be able to enjoy them too. You will receive a link to printable tips and creative ideas to make with your printables when you order too. payments Secure payments for your printables are made with your credit card through PayPal. You do not need to have a PayPal account. Simply use PayPal as a guest and your payment may be made with a credit card of your choice. Once in the PayPal window, you will sign in as a guest on the lower right. 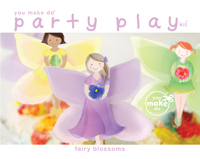 eco-friendly party supplies Children may experience the wonder of childhood and the magic of making with our earth-friendly party decorations, you make do® paper play kits® and you make do® party play kits®. Much more sustainable than plastic toys for play, or rubber balloons and plastic and vinyl decorations for parties, these paper printables are recyclable and creative too. Our simple, eco green party printables and play kits give the joy, of helping to create and excitedly anticipate their own celebrations, back to children. Cherish what you make and do. We do.